How To Clean Your Car Windows? Inside, Outside window Clean Perfectly! Car windows should be clean in order to increase visibility while driving. But in most case, ugly streaks remain on windows which frustrate car owners. To effectively clean your car windows, you need to have the right supplies with you, this include the ideal cleaning solution, cloth, sponge, buckets , and distilled water. In addition, you should apply the right techniques if you want clear and spontaneous windows on your car. The steps that we are going to discuss in this article will assist you have crystal clear windows. So, how to clean your car windows? Before you begin the cleaning process, always ensure that your car is in a shade or in a cooler surrounding so that it doesn’t dry before you wipe it off. This will make cleaning the windows to be easy. When you spray the glass cleaner directly onto the glass, just half of it hits the window. Normally, a portion lands onto the vehicle’s parts, making more work to clean up. The chemicals in the glass cleaner can damage plastic parts and thus it’s crucial to spray the cleaner on a cloth then use it to wipe the window. Using a microfiber is an excellent material that is soft and doesn’t leave behind any residue such as newspaper or paper towels. The cloth absorbs the glass cleaner as it scrubs the dirt away. If you want to excellently clean your windows using a glass cleaner is by wiping the glass in an up and down movement, then in a side-to-side movement. Such a process leaves fewer streaks than wiping the window in circles. For an easy cleaning job, start by either cleaning the car by yourself or taking it to a car wash. This way, you will get most of the dirt and grime away and your sponge or cloth won’t accumulate a lot of dirt. Although it is not recommended spraying directly on the window while cleaning inside, you can spray the cleaner on the outside window. This will help get rid of the grime and dust on the window and make cleaning to be easy. Using a microfiber cloth will get rid of dirt and bugs from the outside of your windows. This will leave a clean and streak-free finish. Use a different cloth from that you applied when cleaning the interior window. In order to prevent streaks, you will be required to wipe in an up and down motion, then revert to a side-to-side motion. Unlike the interior window, you will be needed to apply more pressure to perfectly get rid of the dirt and grime on the outside window. Not only window, you should clean your car leather too! 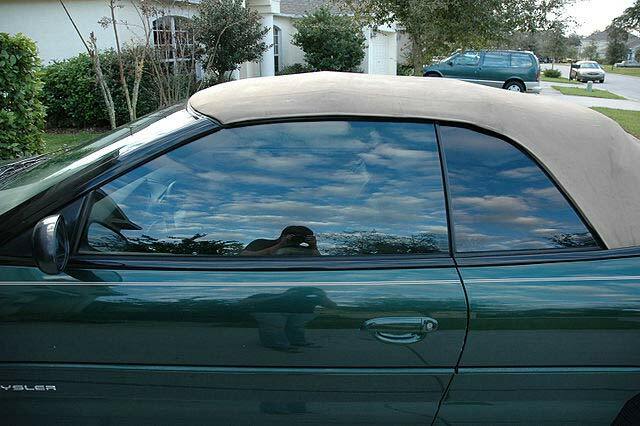 Even you can increase your privacy by using car window tint. With this guide, you can easily clean your car windows for great visibility as you drive down the highway. The steps are very easy to follow and you should use quality supplies for effective cleaning of the car windows.